Some superheroes wear capes and masks, others wear shoulder pads and bifocals. Nerds understand these things. That’s why, at the upcoming New York Comic Con, toy company Funko is releasing a limited edition set of Golden Girls action figures. Only available at the convention, the figurines follow the company’s popular—and more widely available—”Golden Girls” bobble heads. 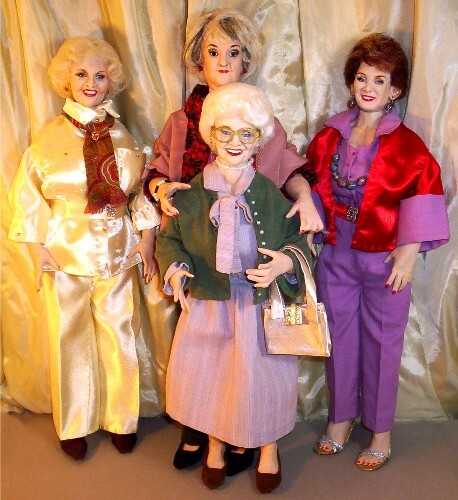 They appear to be the first action figures depicting the “Golden Girls,” though celebrity doll maker Alesia Newman-Breen has created a remarkably lifelike set of figures of the beloved characters, which now belong to a lucky collector. 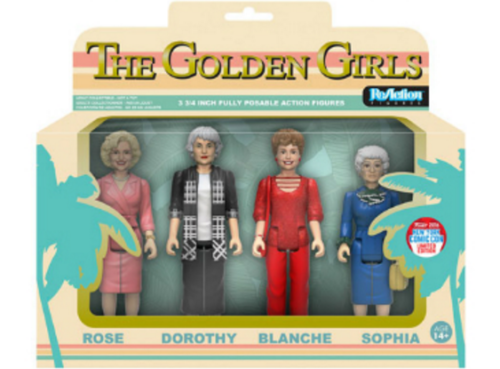 Funko gives credit for the figures’ popularity where credit is due—to Dorothy, Blanche, Rose and Sophia. “The show was ahead of its time and it clearly resonates today,” Robben said. While the action figures are only available at NYCC for now, Nerdist notes that former “exclusive” items have made their way to retailers like Toys R Us and Hot Topic eventually. New York Comic Con takes place October 6-9 at the Jacob Javits Center in Manhattan.